A cry from the heart of a man who found unexpected joy in his fight against cancer. 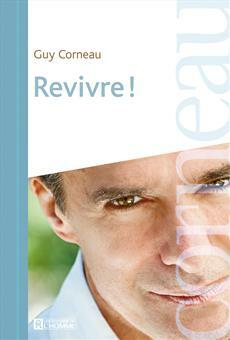 In this personal, moving, at times very funny book, renown psychoanalyst Guy Corneau shares his experience of illness. The psychoanalyst explains his journey that lasted two years: he underlines the importance of using traditional medicine in conjunction with new medical practices, including meditation, cell dialogue practice, and focusing on nature. Corneau does not offer a magic recipe: the struggle against any illness is a difficult one, the outcome often uncertain. However, he underscores that even at its worst stages, it is possible to go beyond the feeling of being reduced to an illness, to find psychological and spiritual meaning in this ambivalent condition, and to use it as a way to celebrate and reaffirm life. Steering away from preaching and clichés, Guy Corneau humbly conveys his own path, highlighting encounters with exceptional people who gave him advice and inspired him. This book will guide us -- as patients, friends, or companions that we all are or one day will be -- through the obstacles that lie ahead.